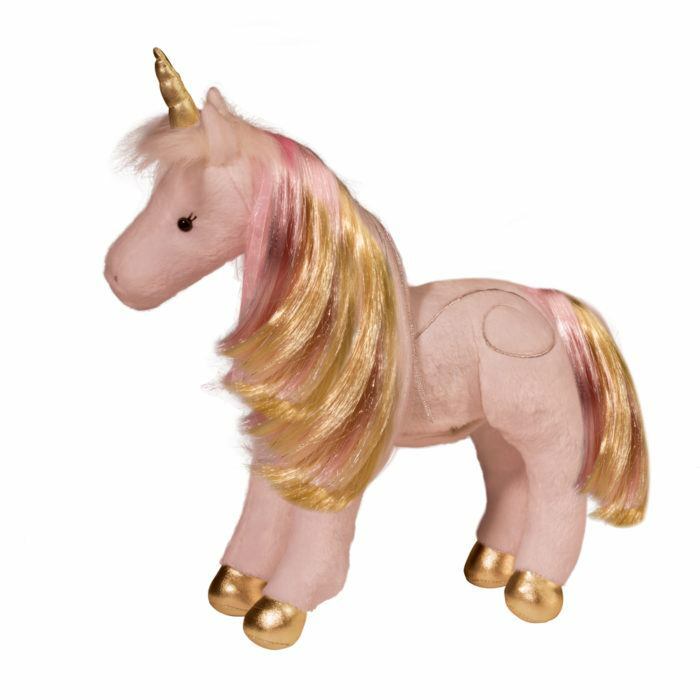 Shades of rosy pink and rich golden hues make Astra the plush Unicorn as beautiful as a perfect sunset and just as magical too! 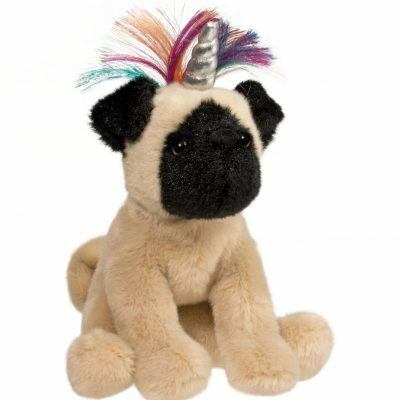 Pet her back to illuminate her heart and golden unicorn horn and two fantasy sounds will play as well! Astra has been crafted in huggably soft pink plush fur and features an interactive stand up pose for playtime adventures. 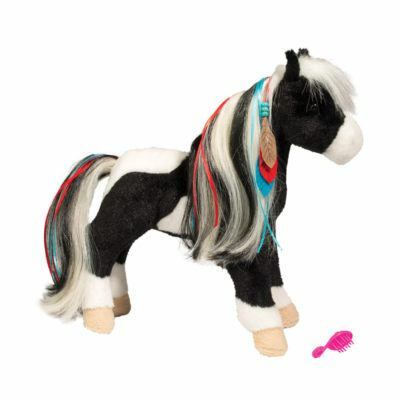 Her pink and gold mane and tail are long and fun to brush and style. 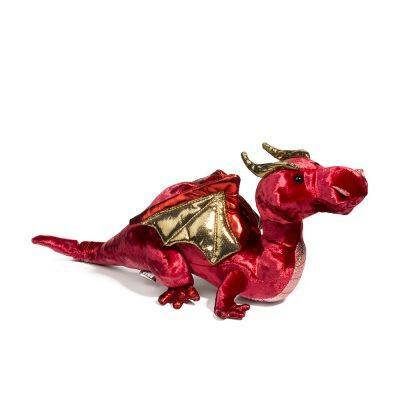 Metallic materials accent her unicorn horn and hooves and embroidered detail runs along her sides. 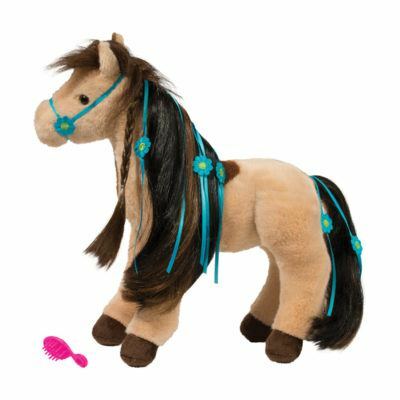 Make this enchanting light and sound stuffed animal your own and Astra the fantasy Unicorn will turn your home into a fairy-tale castle!